Whether your decision to undergo nose surgery is one of choice – or one of necessity – it’s worth taking a few moments to first read the advice provided by the American Society of Plastic Surgeons (ASPS). This organization represents 94% of the USA’s plastic surgeons and is very well-respected in terms of its advice and position on procedures and plastic surgery issues in general. So what advice do they give about nose surgery? These risks are of course statistically unlikely, however it is important that all patients first understand the potential risks involved prior to proceeding with their decision. What are the steps of nose surgery? What are the results of nose surgery? Most patients are pleased with the results of their surgery. Of course, it usually takes several weeks first for the swelling to subside – and the final state of the nose may even take up to one year – however after that the form of the nose is permanent (although naturally the appearance of all parts of the body change over time, as does the nose). 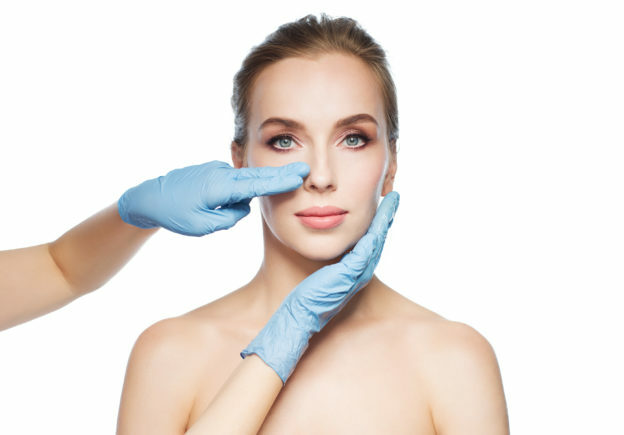 What are the implications of all this when choosing a plastic surgeon in Miami? If you have been involved in an accident at work relating to the nose, then you should consider choosing a workers compensation plastic surgeon who has experience in this field. With regards to a workers compensation plastic surgeon in Miami, Dr. Zaydon has many years of experience both with nasal procedures and workers compensation cases. On the other hand, if you are looking for a plastic surgery expert witness to provide expert testimony in relation to a nose injury or condition, then you should likewise choose a doctor with experience in this area. Read more about nose surgery (rhinoplasty) or Contact Dr. Zaydon. This entry was posted in plastic surgery expert witness on March 15, 2017 by kpeacy.